Job satisfaction is an important and burning researchable issue for academicians and researchers. The success or failure of any organization especially banking sector largely depends on employees’ job satisfaction. The main purpose of this paper is to find out some important factors that affect the employees’ job satisfaction and to compare both private and public banks. The sample consisted of 80 bank employees from both 4 public sector banks (40) and 4 private sector banks (40). Questionnaire method is used to collect information. The questionnaire consists of two parts including demographic part and another part is on factors affecting job satisfaction. A five-point Likert scale has been used to rank the collected data. The researchers have used percentage, mean, standard deviation and t-test to analyze the collected data.The major findings of this study are the employees of public banks perceive greater satisfaction with job security and compensation packages as compared to private banks employees. On the other hand, private sector banks employees have expressed greater satisfaction with salary and co-worker relationship as compared to those of public sector banks employees. At present, human life has become more stressful and complicated. The needs and requirements of the people are increasing and changing. When needs are not fulfilled, they become dissatisfied. Dissatisfied peoples’ contributions are very low. Job satisfaction is one of the most popular and widely researched topics in the field of organizational psychology (Spector, 1997). Locke (1976) defines job satisfaction as ‘a pleasurable or positive emotional state resulting from the appraisal of one's job or job experiences’. Employees who have higher job satisfaction are usually less absent, less likely to leave, more productive, more likely to display organizational commitment, and more likely to be satisfied with their lives (Lease, 1998), (Sharma and Khanna, 2014). Job satisfaction is the positive and negative attitude towards the job of the employee. When a person says that he has high job satisfaction, it means that he really likes his job, feels good about it and values his job dignity. Job satisfaction is an important technique used to motivate the employees to work harder. It is often said that “a happy employee is a productive employee” (Chahal et al. 2013). A satisfied, happy and hardworking employee is an important asset of any organization, including banks. Banking financial institutions are the backbone of a nation's economy; so the efficient human resources management and the maintenance of higher job satisfaction levels affect the entire economy’s growth and performance. Mizan et al. (2013) said that the environment of banking sectors in Bangladesh is fairly competitive and they need to ensure the employee’s job satisfaction to perform efficiently. There are a variety of factors that can influence a person’s level of job satisfaction. Some of these factors include Organizational policy and strategy, salary, promotion, bonus and rewards, job security, relationship with coworkers/supervisors, work culture, working condition, motivation, training, and Efficiency, etc. Banking sectors are growing fast in last ten years in Bangladesh. The banking sector comprises four categories of scheduled banks: i) State Owned Commercial Banks (SOCBs), ii) Specialized Banks (SDBs), iii) Private Commercial Banks (PCBs): a) Conventional PCBs b) Islami Shariah-based PCBs and iv) Foreign commercial banks (FCBs). There are now 4 non-scheduled banks in Bangladesh, (BB, 2016). The workforce of any bank is responsible for its productivity and profitability. So, for the success of banking, it is very important to manage human resource effectively and to find out whether it’s employees are satisfied or not. High job satisfaction indicates well-managed organization. It is a measurement of a supportive working environment in an organization. i. To identify the factors that satisfy the bank employees in Bangladesh. ii. To compare the factors of job satisfaction in public and private sector banks. H0: There is no significant difference between the employees of public and private banks in respect of their job satisfaction. H1: The Level of job satisfaction in private sector banks is lower than public banking sectors. i) Primary Sources: A structured questionnaire has been used to collect the data from four public and four private banks in Sylhet city. From each bank, ten employees are selected by the researchers. Here judgmental sampling has been used to collect the data from the respondents. Judgmental sampling is a non-probability sampling where the researchers select the units to be sampled based on their knowledge and judgment. This type of strategy is termed as purposive sampling technique. a) Population: All the employees of the selected banks such as managers, senior officers, officers and junior officers have been addressed in this study. b) Sample Size: The total number of sample is 80 bank employees. 40 employees are taken from public banks and 40 employees are taken from private banks. Here is a table of collected data. Table No. 1: Name of the banks and number of employees. Total respondents are 80 employees and of them, the male is 60 (75%) and female is 20 (25%) in numbers. The questionnaire has two parts. Part 1 has demographic information and part 2 has factors influencing job satisfaction. To find out the influencing factors relating to job satisfaction, fourteen factors have been considered as independent factors and only one factor is considered as a dependent factor that is job satisfaction. These fourteen factors are rated by Five Points Likert Scale. These are 1=Strongly Dissatisfied, 2=Dissatisfied, 3=Average, 4=Satisfied, 5=Strongly Satisfied. To verify the collected data relating to influencing factors several statistical analyses i.e., descriptive analysis and t test were conducted. ii) Secondary Sources: Secondary data has been collected from websites, journals, books etc. Several articles from various journals have been consulted to develop the leading ideas. The data have been collected from only the Sylhet region. So it is difficult so show the whole scenario of job satisfaction both in private and public commercial banks’ employees throughout Bangladesh. At the time of data collection, it is found that some respondents feel hesitate to provide actual information about their job. So, it may affect the actual results of the study. The ratio of female respondents is comparatively lower than the male respondents. The percentage is only 25%. So, it is difficult to know the actual situation of female employees’ job satisfaction. The sample size is only 80 employees (public 40 and private 40). Actually, this sample size is small to compare the public and private employees’ satisfactions in Bangladesh. Satisfaction level differs from person to person. Literature reviews help a researcher to develop his or her ideas about a certain theme. There are thousands of research papers on job satisfaction because no organization can go a single day without employees. If employees are happy the organization can succeed very soon. For this reason, the researchers try to find out the influencing factors of job satisfaction and try to compare between the employees of private and public banks. To conduct this research, the researchers, take help from the following authors’ writings. Bora (2014) observed that degree of job satisfaction of private sector banks was found to be comparatively slightly lower than in public sector banks. The main reasons for job dissatisfaction in Private sector bank were job security, salary not at par with experience, not much value or credit was given for the tasks accomplished and monotonous nature of a job. Employees of private-sector banks perceive that their jobs are not secure. In public sector banks, welfare policies are clearly defined and legally enforced. Retirement, pensions, gratuity and other related welfare policies are effectively executed. So there is no problem with social security. In private sector banks, welfare activities are neither well planned nor well executed. Employee turnover is very high and job security is very low. She also showed the factors that affect the job satisfaction. These are (1) Communication & information flow, (2) Interpersonal relationship, (3) Credit/value to work, (4) The job itself, (5) Degree of motivation for the job, (6) Current career opportunities, (7) Level of job security, (8) Involvement & identification with org goals, (9) Nature of supervision, (10) Implementation of change & innovation, (11) Kind of tasks required to be performed, (12) Extent of personal growth & development, (13) Conflict resolution, (14) Association of job with individual aspiration and ambition, (15) Participation in decision making, (16) Degree of skill utilization, (17) Flexibility & independence, (18) Organizational climate, (19) Level of salary with respect to experience and (20) Satisfaction with organization structure. banks. These are (i) Pay, ii) Work relationships and iii) Use of skills and abilities. In the study, Job satisfaction was measured on the basis of four variables. These are (i) Pay and promotion potential, (ii) General working conditions (for example, safety, heat, noise, and dust), (iii) Work relationships (for example relation with superiors, peers, subordinates, and workers) and (iv) Use of skills and abilities. Private sector jobs do not have the required reputation and prestige as compared to government jobs. If it is a private company then satisfaction will be very low and people will try to switch to a government job. Government jobs are symbols of status, prestige, security and social acceptance. Private sector jobs are the second choice. 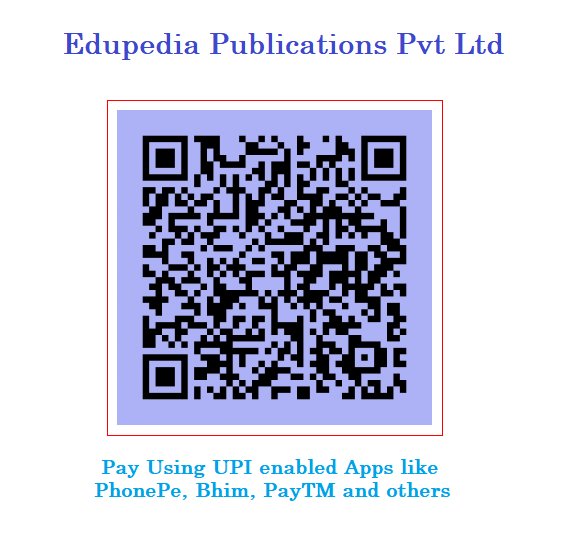 Padhy & Bhuyan (2015) indicated that significant differences exist between employees of Public Sector and Private Sector Banks regarding various aspects of job satisfaction, pays, supervision, security, acknowledgment. But they are significant in the case of the aspects, secure, promotion, relation with co-workers, employee’s empowerment, supervision, and nature of a job. They observed that degree of job satisfaction of private sector banks was found to be comparatively slightly lower than in public sector banks. The main reasons for job dissatisfaction in Private sector bank were job security, salary not at par with experience, not much value or credit was given for the tasks accomplished and monotonous nature of a job. Employees of private-sector banks perceive that their jobs are not secure. In private sector banks, the environment in highly competitive and job security is based on performance and various other factors. Though it is true that this environment provides a challenging job profile, it also creates a less secure environment. Industriousness, dedication, devotion, and commitment are not enough to secure a job. On the other hand, in public sector banks, welfare policies are clearly defined and legally enforced. Retirement, pensions, gratuity and other related welfare policies are effectively executed. So there is no problem with social security. In private sector banks, welfare activities are neither well planned nor well executed. Employee turnover is very high and job security is very low. employee’s empowerment, supervision, performance appraisal and nature of a job. Sehgal (2012) indicated that there is not much difference in the level of job satisfaction between public (UCO) banks and private (AXIS) banks, but regarding some factors like job security, salary offered to employees, benefits given to the employees and experience, the satisfaction level differs in both the banks. The employees of public Bank are highly satisfied with the level of job security as compared to the employees of a private bank, as UCO Bank is public sector bank whereas AXIS Bank is a private sector bank. When it comes to salary package in relation to the experience of employees, the employees at public Bank are more satisfied than the employees of private Bank. The employees at the public Bank are also happy regarding the benefits they get like promotions appraisals, incentives etc. The author also showed that highly experienced employees at public Bank are more satisfied with their job as compared to the employees at a private bank. Jain et al. (2012) observed that degree of job satisfaction of private sector banks was found to be significantly lower than in public sector banks. Job satisfaction was measured on the basis of five variables. These are (i) pay, (ii) work condition (for example, safety, heat, noise, and dust), (iii) service conditions (for example, security, promotion, and welfare), (iv) relation with superiors, peers, and workers, and (v) company as a whole. Among four variables, the degree of difference is not noticeable. But low scores of the third variable, service conditions, were found to be responsible for overall low degree job satisfaction in private sector banks. Employees of private-sector banks perceive that their jobs are not secure. In public sector banks, welfare policies are clearly defined and legally enforced. Retirement, pensions, gratuity and other related welfare policies are effectively executed. So there is no problem with social security. In private sector banks, welfare activities are neither well planned nor well executed. Employee turnover is very high and job security is very low. Monga et al. (2015) found that factors of salary, interpersonal relationship, and communication, the attitude of superiors, working conditions and teamwork are more significant in determining job satisfaction of employees. Varshney & Malpani (2014) said that Job satisfaction is a psychological concept and it is mostly depending upon the internal feeling of employees. There are a lot of independent variables on which job satisfaction is depending. These are educational qualifications, nature of work, pay, job security, promotional opportunities and family & work life balance. The employee’s satisfaction improves the productivity and profit. So it is important both employees and employer also. Parveen & Khan (2014) showed Salary, Compensation & Benefits; Promotion; Career Development &Training; Interpersonal Relations and Working Conditions (Independent variables) and Job Satisfaction (dependent variable) play a significant role in employee satisfaction, resulting in increased employee satisfaction and loyalty. They also showed that very high degree of positive correlation between the independent variables (working conditions and CareerDevelopment & Training) and the dependent variable Total Job Satisfaction. Sharma & Khanna (2014) indicated that factors including the salary of employees, performance appraisal system, promotional strategies, employee’s relationship with management and other co- employees, training, and development program, work burden and working hours are found important for improving job satisfaction of bank employees in banks. The increase in level of these factors improves overall satisfaction of employees. Sattar & Ali (2014) determined that all the variables promotions, work environment, leadership behavior and job satisfaction have a significant relationship with employees’ job satisfaction. Chahal et al. (2013) defined job satisfaction as an extent of positive feelings or attitudes that individuals have towards their jobs and it is mainly depend on various factors such as salary of employees, performance appraisal system, promotional strategies, employee’s relationship with management and other co- employees, training and development program, work burden and working hours, nature of job, working environment, incentives linked job, promotional methods, etc., Employee’s welfare measures and Job security should be given utmost importance, so that the employee’s turnover may be restricted. If these factors are given little more care, the company can maintain good workers with a high level of satisfaction, organizational commitment, and involvement. This will, in turn, lead to effectiveness and efficiency in their work which leads to increased productivity. The researcher concluded that overall the job satisfaction of bank officers though is not very high but still satisfactory. But there is still considerable room for improvements. An organization should try to take every possible step to enhance job satisfaction among employees because if employees are satisfied then customers associated with it will also be satisfied. Hong et al. (2013) indicated that work environment, pay and salary and promotion criteria significant impact towards employees’ level of job satisfaction whereas fairness of the company does not have a significant impact towards the employees’ level of job satisfaction. Islam & Zaman (2013) identified organizations with pleased employees tend to be more helpful than associations with displeased employees. This learning accepted the affiliation between independent variables (motivation and job security) and a dependent variable (job satisfaction). Because high level of job satisfaction increases employees works involvement and task performance. Saleem et al. (2013) found that job stress, communication and personality have a significant but weak impact on job satisfaction whereas recruitment & selection procedures, organizational policy & strategy, and nature of work have a significant and strong impact on employee job satisfaction. On the basis of introduction and literature reviews, the researchers have formulated a research model which is given here. This research model shows that hypothetically independent variables affect the dependent variable. From the table, the researchers have found that both private and public banks have few numbers of female employees. Most of the employees in private banks are young and energetic compared to public banks and here employees’ age is no more than 50 years. Most of the employees are highly educated compared to public banks. So the private banks’ manpower is greater than public banks. These are the demographic information of the 40 respondents from public and 40 from private banks employees. After the analysis of Mean and Standard Deviation, the researchers have found some factors which are responsible for job satisfaction. For the public banks, i) Job Security (Mean=4.61538 and SD=0.0789), ii) Fringe Benefits: Increment, Compensation Packages (Mean=4.33333 and SD=0.0848 and iii) Co-workers Relationships (Mean=4.07692 and SD=0.0852) are the most influencing factors for job satisfaction. On the other hand, for the private banks i) Co-worker Relationships (Mean=4.15385 and SD=0.1135), and ii) Salary (Mean=4.00000 and SD=0.0900) are the most influencing factors for job satisfaction. After that, the researcher has found some factors which are responsible for job dissatisfaction. For the public banks i) Rewards for Performance (Mean=2.61538 and SD=0.0945) and ii) Non-Financial Motivation (Mean=2.89744 and SD=0.1413) are the most influencing factors for job dissatisfaction. On the other hand, for the private banks i) Work Load (Mean=2.53846 and SD=0.1153) and ii) Job Security (Mean=2.82051and SD=0.1509) and iii) Flexibility of working hours (Mean=3.200 and SD=0.887). Finally, the researcher has found that overall satisfaction of public banks employees is greater than the private bank’s employees because of public banks have higher Mean of overall satisfaction than private banks. Public banks have a Mean value of 48.7692 and Standard Deviation of 1.5941. On the other hand, private banks have a Mean value of 46.8205 and Standard Deviation of 1.9396. Table No: 4 Mean, SD and ‘t’ values of overall satisfaction scores of Public and Private Banks Employees. From the table, the calculated ‘t’ value is found ‘4.9110’ which is higher than the table value of ‘2.639’ at the significance level of 0.01. Hence the Null Hypothesis “There is no significant difference between the employees of public and private banks in respect of their job satisfaction” is rejected. That means, there is a significant difference between the employees of public and private banks employees in respect of their job satisfaction. The Mean value indicates that the public bank employees scored better than private bank employees in respect of job satisfaction. So, Alternative Hypothesis “The Level of job satisfaction in private sector banks is lower than public banking sectors” is accepted. The main cause of dissatisfaction of private bank employees is that they feel insecure in their jobs. The cause of higher job satisfaction of public banks is that welfare policies are clearly defined and legally enforced in public banks. Retirement pension, gratuity and other related welfare policies are carefully executed. So, there is no problem of social security. On the other hand, welfare policies are neither well planned nor well executed in private sector banks. So they feel the demand of pensions, security and sometimes an easy lifestyle. For the public banks, salary is not satisfactory, so it should be increased. Jain et al. (2012)provides general suggestions for any organization to keep its employees satisfied are i) Understand employee first, ii) Understand his requirement, iii) Understand his interest of domain, iv) Understand his problems, v) Understand how much time is devoted to his family, vi) Understand his family problems, vii) Understand his financial issues, viii) Understand what he is thinking about his manager or team leader, ix) Understand any exploitation, x) Understand any mind teasing if any. For both public and private banks, i) Salaries of the employees must be given in accordance with their experience in the jobs, ii) Work should be given according to their abilities and knowledge, iii) Healthy and flexible work environment should be created, iv) Healthy relationship should be maintained in the organization, v) There should have rewards and appreciations for good works and good decisions, vi) There should be special benefits for achieving goals. The researchers think that these benefits will increase the job satisfaction among both public and private banks employees. Employees are the assets of any organization. Efficient human resource management and maintaining higher job satisfaction level in banks determine not only the performance of the bank but also affect the growth and performance of the entire economy (Jain et al. 2012). So, it is essential to keep them satisfied for the success of banking sector as well as the prosperity of the economy. It is very important to handle human resources effectively and to find out whether they are satisfied or not. Only if they are satisfied, they will work with commitment and project a positive image of the organization. Lease, S. H. (1998). Annual review, 1993–1997: Work attitudes and outcomes, Journal of Vocational Behavior, 53(2), 154–183. Public Sector Banks’, Advances In Management, Vol. 8 (4), April. Rahman, M. M. & Iqbal, F. (2013). ‘A Comprehensive Relationship between Job Satisfaction and Turnover Intention of Private Commercial Bank Employees’ in Bangladesh. International Journal of Science and Research (IJSR) India Online ISSN: 2319-7064 Vol 2, PP. 17-23. This is Mohammad Kamrul Ahsan, the research fellow of the Department of the Business Administration at Shahjalal University of Science and Technology. He has completed his BBA and MBA degree from the Department of Finance and Banking from the University of Rajshahi. His area of interest regarding research includes the field of human behavior and green banking. He has contributed several articles to the peer-reviewed national and international journals. He has also attended several national and international research conferences in the home and abroad. He is now working as an Assistant Professor in the Department of Business Administration, Metropolitan University, Sylhet, Bangladesh.